Sharpen your design skills! NAILPRO breaks tons of manicures into easy-to-follow steps to help you build your confidence in nail art. 1. Apply gel base coat, then two coats of white gel polish, curing after each layer. 2. Apply a second layer of gel base coat. Do not cure. Then, place pieces of glass paper onto the nail. Cure. Apply a layer of gel top coat to the entire nail, encapsulating the design. Cure. 3. Use a striping brush to outline the glass paper and the perimeter of the nail with black gel paint. Cure. 4. 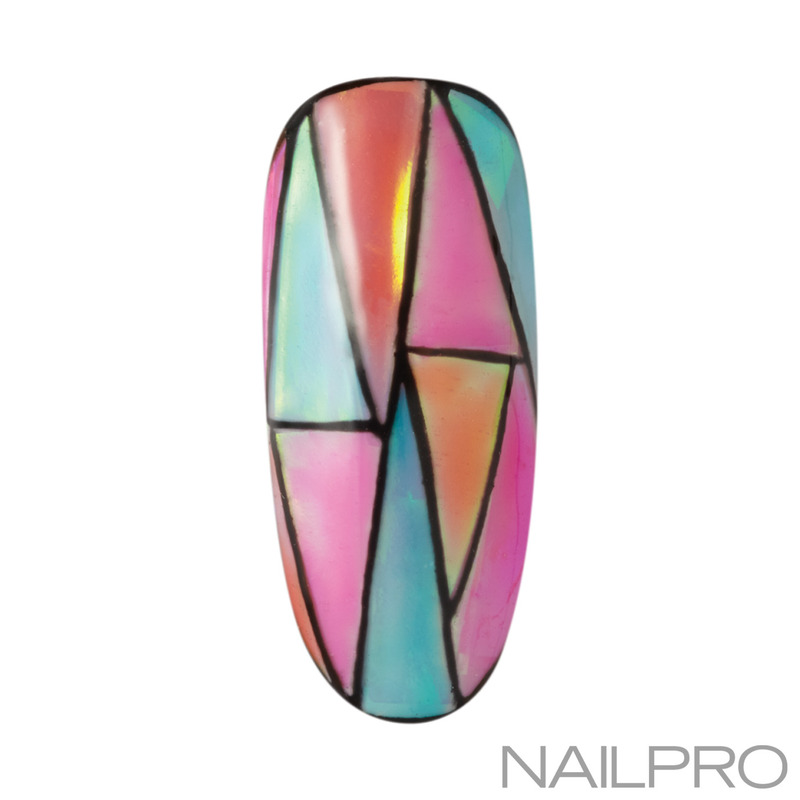 Fill in the triangle shapes with sheer hot pink, orange and light blue gel polish. Cure. To finish, apply gel top coat and cure.